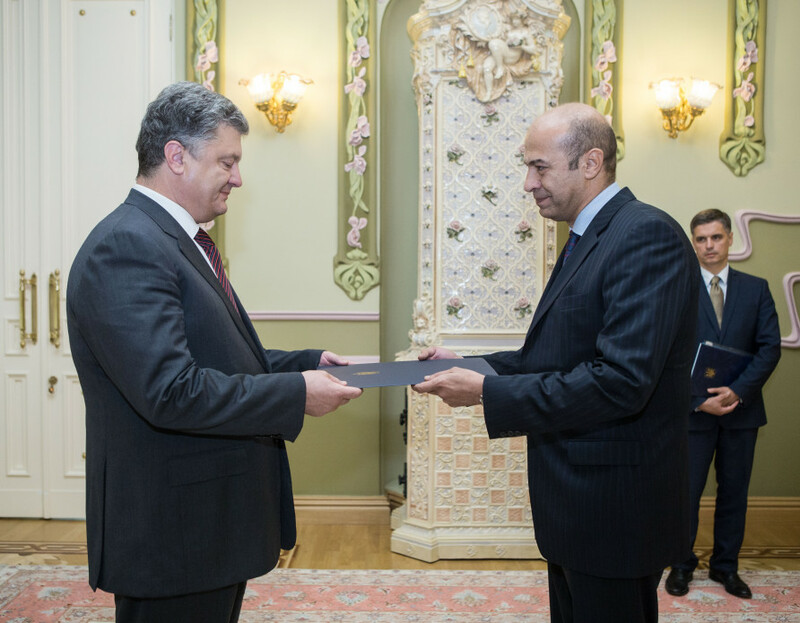 The President of Ukraine Petro Poroshenko accepted the letters of credence from the Ambassadors of the USA Mary Jovanovich, Romania - Cristian-Leon Țurcanu, Brazil - Oswaldo Biato Junior, and Egypt – Hossam Eldin M. Ali. It is reported at the web-site of administration of the President of Ukraine. 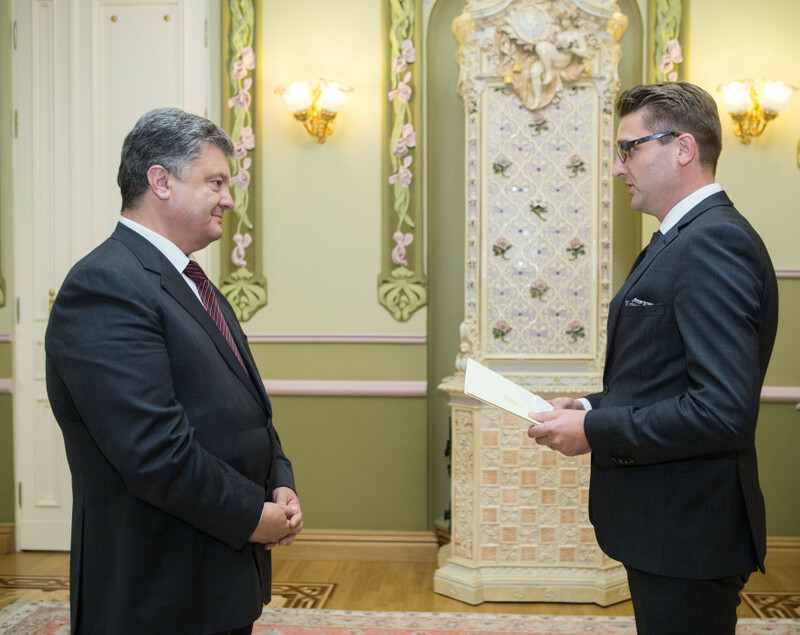 Petro Poroshenko congratulated Mary Jovanovich with the beginning of activity at the job position of Ambassador of the USA in Ukraine noticing that he lays his account on her previous work experience in Kyiv in 2001-2005. The head of the state expressed his gratitude to American side for political, financial, and military technical support in the struggle of Ukraine against Russian aggression. ‘We are reckoning upon the continuation of the effective collaboration’, the President stated. In her turn, Mary Jovanovich informed that she is planning to concentrate her work on the saving and reinforcement of this support in the future. ‘During the last two years Ukraine has been coming to the significant progress. Now there are huge possibilities for continuation of the alterations begun. The USA is the loyal friend and it supports Ukraine as well as the reformations that are being conducted’, she made a stress on this fact. A special attention was paid to the dangerous course of the situation happened at Donbass and retaliatory actions of Russia in the occupied Crimea. 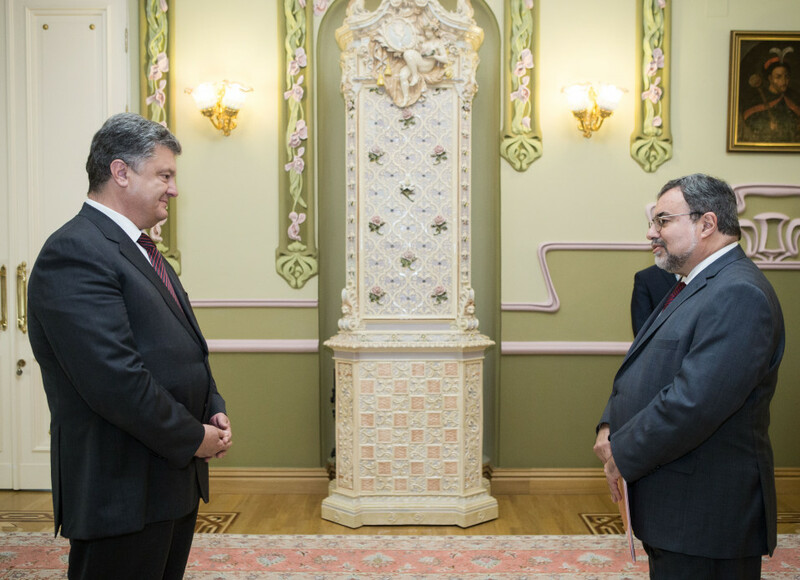 In the terms of the conversation with the Ambassador of Romania Petro Poroshenko noticed the high dynamics of bilateral dialogue that got on well between the countries for the recent years. He has marked that he is waiting for the visit of the President of Romania Klaus Iohannis in Ukraine in 2017 in the frames of which they are planning to conduct the meeting of the President Commission. The head of Ukrainian state expressed hope that in the future Bucharest is about to encourage the deepening of interrelations of Ukraine, European Union and NATO. The President applied for the Romanian side to start the dialogue about the introduction of the common control at Ukrainian and Romanian border. ‘It will become the instrument for the fight with corruption. The precipitation of the procedure of border crossing demonstrating trust and friendship between our nations’, Petro Poroshenko said. During the meeting with the Ambassador of Federative Republic of Brazil the Head of state emphasized the importance of recovery of the regular political dialogue and business networks between two countries at all the levels, as well he marked the necessity of quickening of organization of Ukrainian and Brazilian intergovernmental commission on the economic collaboration. The head of Ukrainian state marked the potential of mutual work in agrarian section, in pharmacy service, nuclear energetic, scientific technological and military technical scopes. Petro Poroshenko and the Ambassador of Egypt Hossam Eldin M. Ali discussed the significance of activation of the political dialogue and deepening of trading economic collaboration between two states. The sides have confirmed their point of interest in arranging of the seventh meeting of Common Intergovernmental Commission on economic and scientific technical collaboration between Ukraine and Arabian Republic Egypt by the end of 2016. Petro Poroshenko renewed the invitation to the President of Egypt to make a visit in Ukraine in any time that could be comfortable for him.